This is the dish that taught me to try foods that scare me. No really… it’s a true story. Mushrooms have always squicked me out, they make me feel like the other creature in Green Eggs and Ham.. the one who says “I do not like them in a box, with a fox wearing socks.” But much like that creature, after trying them at the urging of my best friend, my palette exploded and I discovered that they aren’t so bad, they might even be better with a fox wearing socks. Put cream cheese (it mixes better if it’s softened slightly), garlic, green onions, salt and pepper into a bowl and cream. Stuff the mixture that you just made into the mushrooms (I transferred the goop into a gallon sized ziploc bag, cut a tip off, and used it as a piping bag). 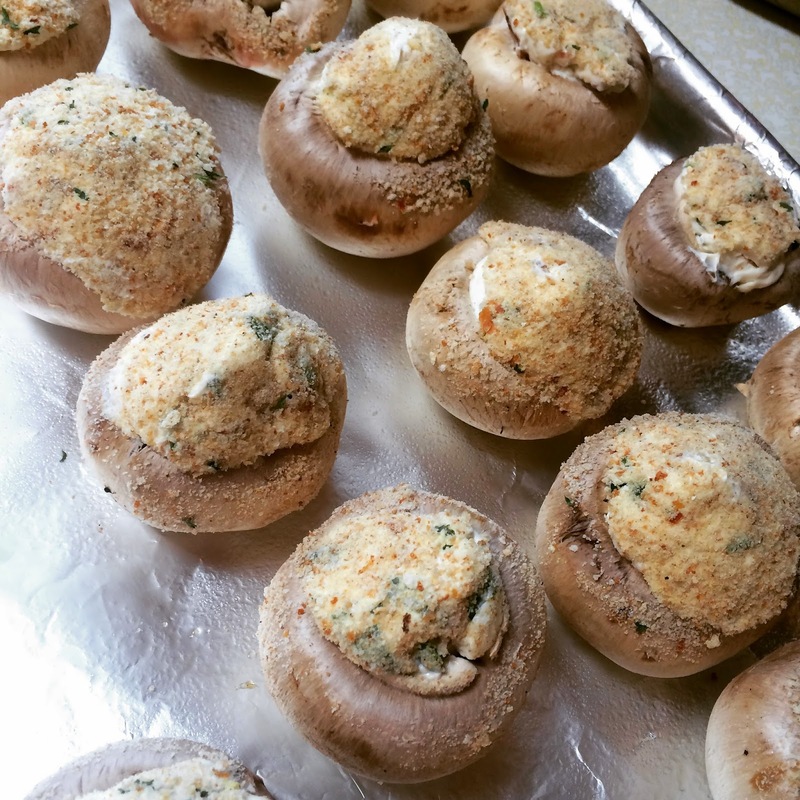 Remove from the oven and top with Parmesan.